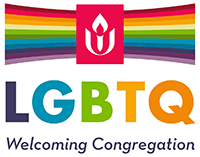 Several support groups meet at UUCBG. For more information and meeting locations, please contact the Church Office. The purpose of this group is to promote the health and well being of LGBTQ persons, as well as to actively support their families and friends through education and positive advocacy. Meets on the last Monday of the month at 7:00 p.m.
Overeaters Anonymous Every Monday at 10:30 a.m.